A cover letter is a document that should be used no matter what position you are applying for. A cover letter is targeted at a specific employer, which is why it should be impeccable and perfectly-written. The main purpose of cover-letter writing is to show an employer that you have all the skills and qualities mentioned in the job posting and to convince them that you are the best candidate. If your cover letter follows all the necessary rules of cover-letter writing and contains all the necessary information, you will increase your chances of getting the job you want. It expresses a subtle concern for the recipient. It demonstrates that consideration was taken when mailing. It has the potential for a very good first impression. It may contain a hook, ensuring the mailing is read. It may set the tone for the entire mailing. If you don't want to spend time and effort on cover-letter writing and want to leave the writing process to the professionals, then Resumesplanet.com is for you! With many experienced writers ready to create your unique and professional cover letter, you can relax knowing that your cover letter will get noticed. By providing you with a cover letter sample, Resumesplanet.com aims to make the cover-letter-writing process easier for you. Please peruse and use it to form your own cover letter, however, this is not a template. 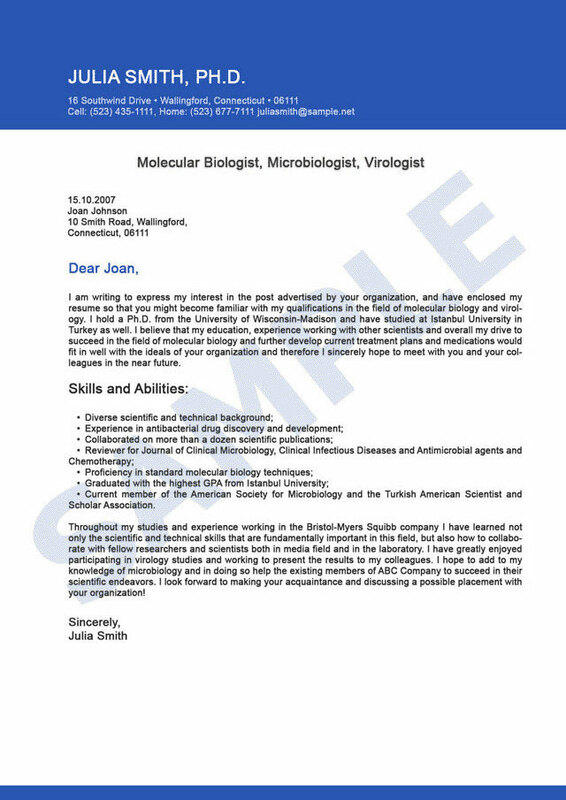 If you want our professionals to create an equally brilliant cover letter, place your order now!